At the Fairgrounds - Int'l Ska party Askultura shares the stage with some of our favorite bands Memorial Day Weekend 2017! Bands playing in 2017 include Jamaican ska legend Derrick Morgan, The Aggrolites,from Los Angeles, The Skints from London and ska and soul masters The Pietasters from Washington, DC. That would be a world-class line-up by itself, but we also have NYC's most influential ska band The Toasters, Pilfers, Chris Murray,Symarip backed up by The Bishops, J. Navarro & the Traitors (Jason formerly of The Suicide Machines), the whirlwind known as Askultura, Eastern Standard Time, The Snails, Sammy Kay, Richmond's own Murphy's Kids and a ton of other great bands. NYC's The Ladrones, DC's The Fuss, Rude King from Texas, NJ-based Backyard Superheroes, Florida's The Freecoasters, Party Like It's, Philly's Behind Deadlines, DMV's The Scotch Bonnets, Stacked Like Pancakes, Thirteen Towers, The Captivators, El Grande, High School Football Heroes, and Indiana's own The Circle City Deacons.Tickets online for sale at supernovaska.eventbrite.com and we're offering several perks for purchasing them before October 1 like exclusive VIP weekend passes. 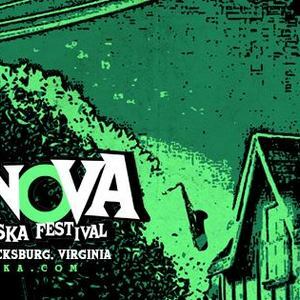 Check out the details here: http://www.supernovaska.com/early-bird-tickets.